Like baseball, fishing is one of America’s greatest pastimes. It’s a tradition that has been passed down for decades and remains one of the most peaceful ways to disconnect from it all. 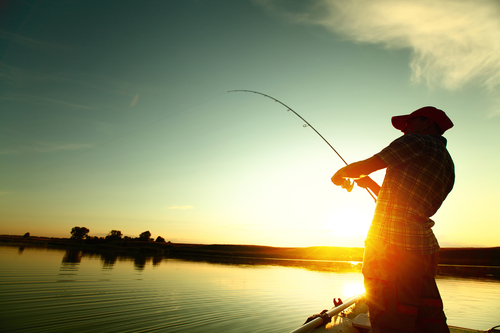 Taking a fishing trip is a right of passage, but remember, not everyone is born a pro angler. 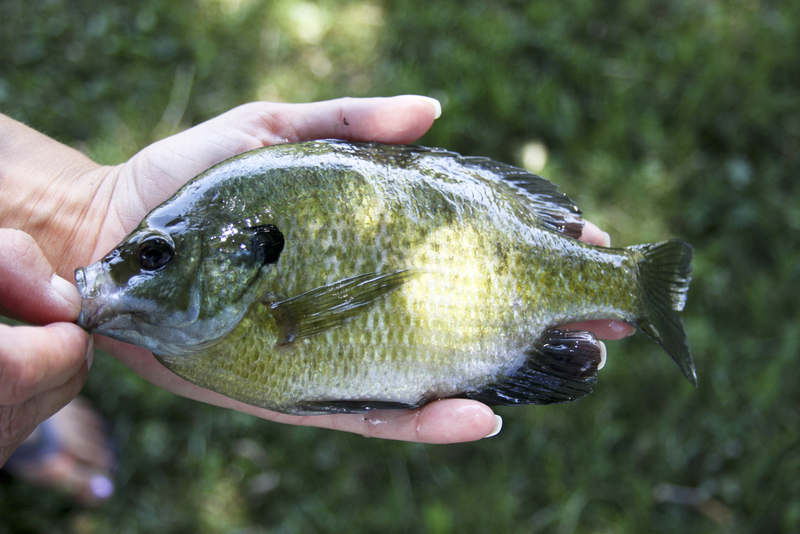 If you’re ready to teach your children the basics of fishing, use this helpful guide to teach them how to hook a fish and be responsible, too. Tiny kids have tiny attention spans. While it may seem difficult to entertain them at first, the secret is to keep them busy. It’s not uncommon for a child to lose interest in fishing during an afternoon with no bites on the line. 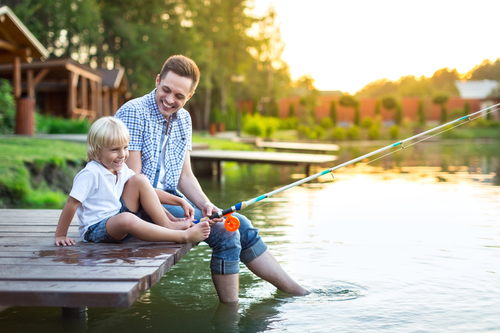 So, spark their interest in your favorite hobby by introducing them to fishing with other water activities, such as tubing or snorkeling, suggests the experts from Take Me Fishing. Many manufacturers have created fishing poles specifically for kids, but you don’t need to buy into the gimmick. An ultra-light spincasting rod and reel combination will do the trick. Small hooks and light lines are good when fishing with small kids, as well. 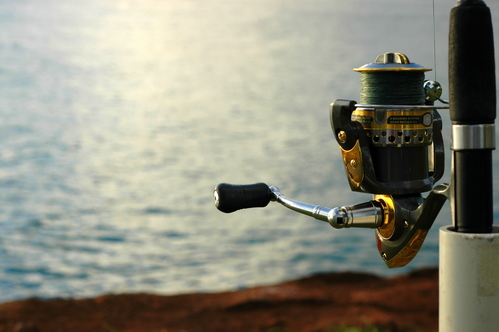 Instead of fussing over their technique or keeping a close eye on how they cast their lines, sit back and watch. If they make a mistake, encourage them to learn from it. And, if they look like a pro, praise them for their good work. You can give your kids just a bit of responsibility at this age. Consider giving them a fishing vest so they can keep their baits, hooks and other gear nearby. You might want to get a vest in a size up, since they will grow into it. However, kids who are elementary-age still need your assistance. Cherish it now, as it won’t last forever. By the time your kids reach their teenage years, they’re independent enough to untangle a knotted fishing line and clean out their catch. After all, they learned from the best, didn’t they? Show your teens that they’ve earned your trust and admiration by purchasing them their own fishing rod. Take a trip to Cabela’s together and test-out a handful of quality fishing rods. 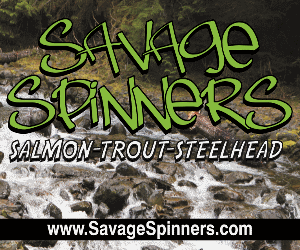 From saltwater to freshwater rods and trolling rods to fly rods, the world’s foremost outfitter has got it all. Make a joint decision, and take the new rod out on your next trip together. If your kids have gone off to college and started lives of their own, you can still include them in your favorite hobby. Reminisce about the memories you shared together when they were small, and spend the day catching up. Plan a trip together in a world-class fishing location like Montana, with guided help from Montana Trout Chasers. Stay in Bozeman, Montana, and visit Roughstock Distillery after a long day of fishing the Madison or Yellowstone rivers. Invite cousins, uncles, grandpas and siblings along for the fun. 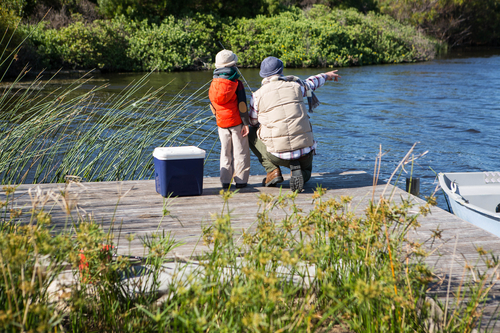 As you look back on these fishing trips, you can rest assured that you’ve given your kids the skills they need to pass down the tradition to their own children one day.